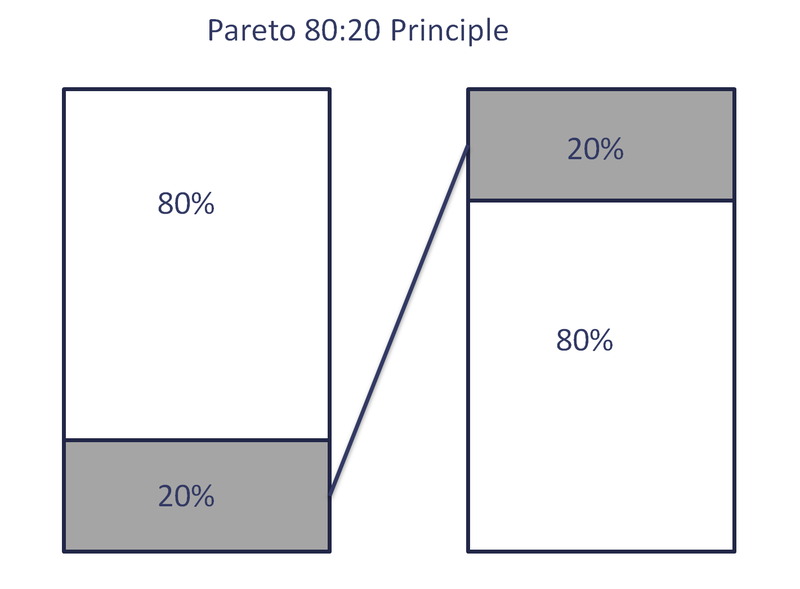 The Pareto Principle or 80/20 rule is a commonly observed power law that 80% of the benefits (or outputs) will be generated by just 20% of the work (or inputs) and conversely 80% of problems will be the result of 20% of the causes. Optimisation is often about identifying the 20% of the causes that result in 80% of the problems. The reason why so many tests fail is that we don’t identify the real barriers to conversion on a page and or change things that won’t make a difference until we fix the user experience. Following tips on the internet might seem a good idea but every website is unique and hypothesis need to be developed based upon either qualitative or quantitative data if possible. Hunches rarely pay off once you have fixed the low hanging fruit. The Pareto principle is sometimes misunderstood by marketers because 20% of customers often generate 80% of a company’s revenues. Due to this characteristic some organisations focus too much attention on their most profitable 20% of customers and may design their user experience specifically for these customers. This is a common logical error called survivorship bias is our tendency to focus on people who survive a process without recognising that the process influences their characteristics and behaviour. You shouldn’t optimise your website for your most profitable customers because they are not a fixed pool of customers and people are continually moving in and out of this group of VIP customers. Survivorship bias can undermine your growth strategy because it ignores the nature of survivors. Rather than optimising your site for this important segment of customers use personalisation and marketing automation to better meet the needs of VIPs. This is a more appropriate way of responding to the Pareto Principle as it does not discriminate against ordinary customers who could become the VIP customer of tomorrow.